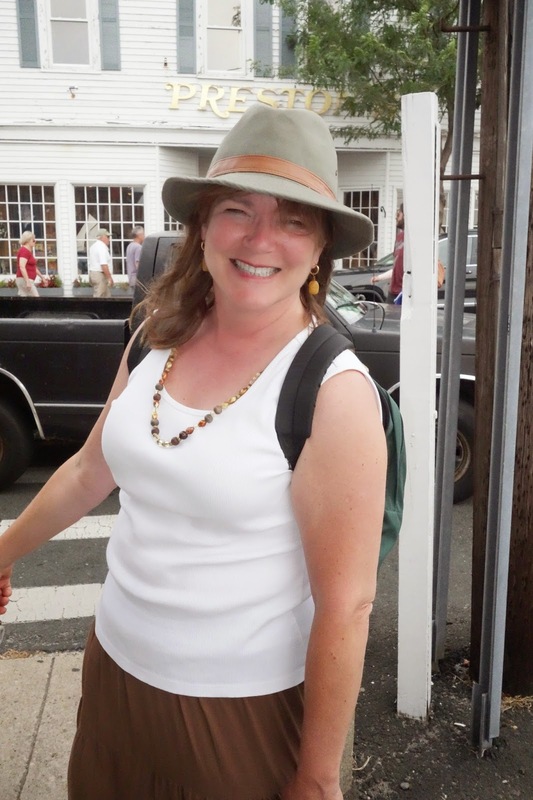 Lisa Saunders, author of Ride a Horse Not an Elevator, featured in Cornell University’s “Horse Book in a Bucket” program, presents writing workshops for children. 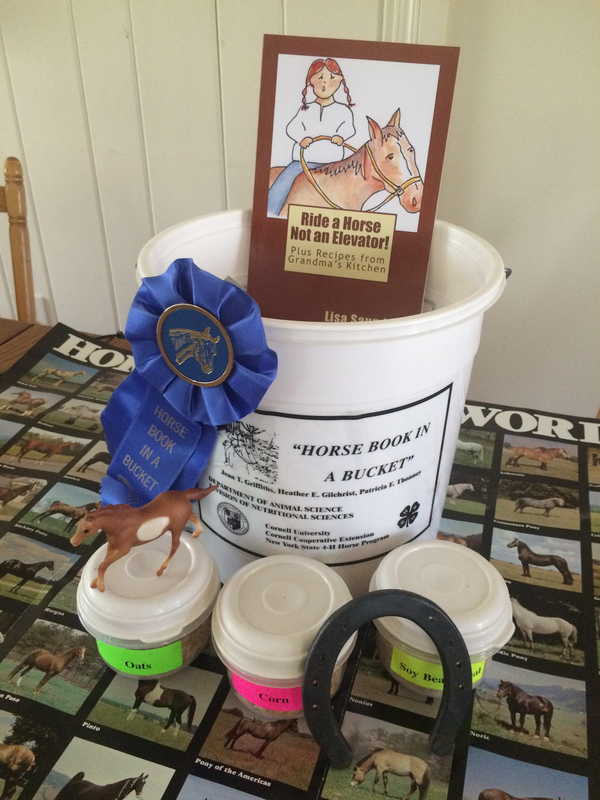 The “Horse Book in a Bucket” includes educational materials such as a breeds poster, containers of oats, corn, and soy bean meal, and a horse coloring sheet. 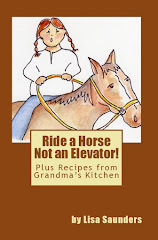 Ride a Horse Not an Elevator includes a study guide, horse and human nutrition facts, and Grandma’s recipes. Lisa discusses how and why she wrote the novel, does a reading, and presents tips on how children can write and get published. "The children really enjoyed your presentation of your novel, Ride a Horse Not an Elevator, and receiving an autographed copy. That aspect especially did a great deal to help them feel connected on a personal level to the whole writing process." Susan R. Bailey, Riverfront Children's Center, Inc.
nutrition and good eating habits, fitness and exercise.” Jeannie Griffiths, Cornell Cooperative Extension Horse Specialist, Department of Animal Science, Cornell University. Cornell University "Horse Book in a Bucket."